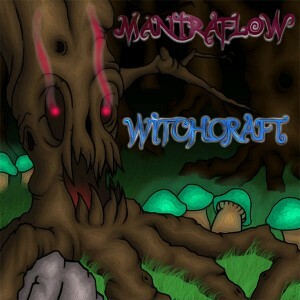 Mantra Flow made his debut on Reunion Netlabel back in October of 2012. Now this up-and-coming producer from Denmark is back with Witchcraft, four innovative works of progressive psytrance. With one foot firmly rooted in the Panzar Produktionz vibe and the other drawing influence from the European twilight and forest movements, this release is a true fusion of styles. Completely written on the road, this release gives us a glimpse of what Kristian is up to while touring! Mastering by InYourPhaze (Liam Dorff) with artwork by KeyMove (Kim Ove Pettersson). MP3 Download | FLAC Download | WAV Download · Download count: 9,069. Progressive or not, good the same way! anyway, very good bendled stuff!!! excellent sound to listen all the time.. Dark and goooooey with an excellent presence of melody. LOVE it. SOLID release! Will grab when I get home!! IMO, this can’t be called Progressive no way, no matter, it’s proper good twilight psy, not even full-on. i love all kinda trance. love peace, om shanti….